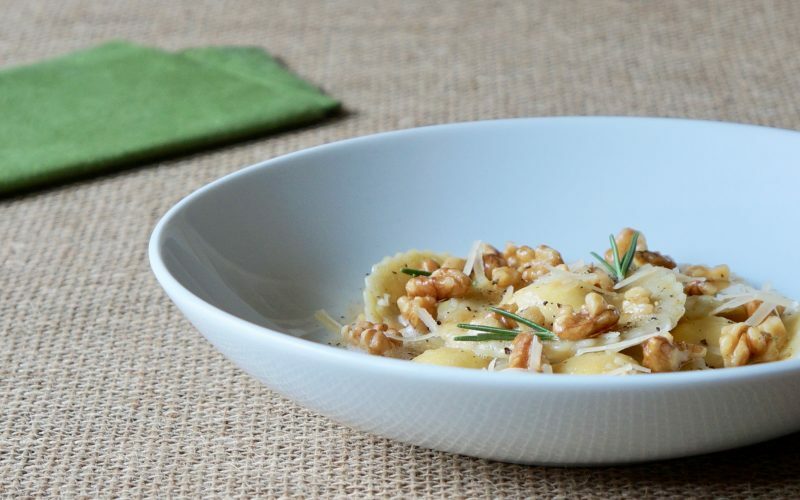 If you take the time to prepare pasta dough from scratch, I guarantee you it will produce some of the best meals you’ll ever encounter. It does take a bit of time & patience, however you will certainly be rewarded at the table. It may be rolled & cut into wide noodles, cut into squares for filling or shaped into sheets & so much more. It truly puts all of the traditional Italian sauce techniques into perspective from Classic Bolognese to Alfredo Sauce. 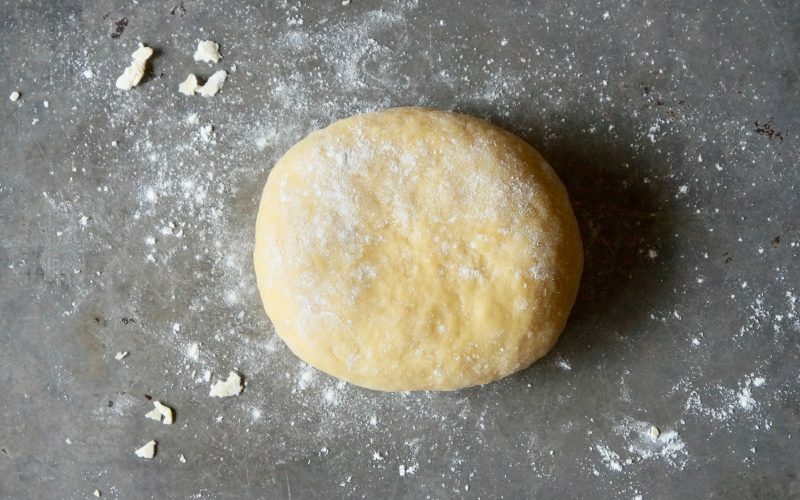 Learn how to make Homemade Pasta Dough in your very own kitchen. 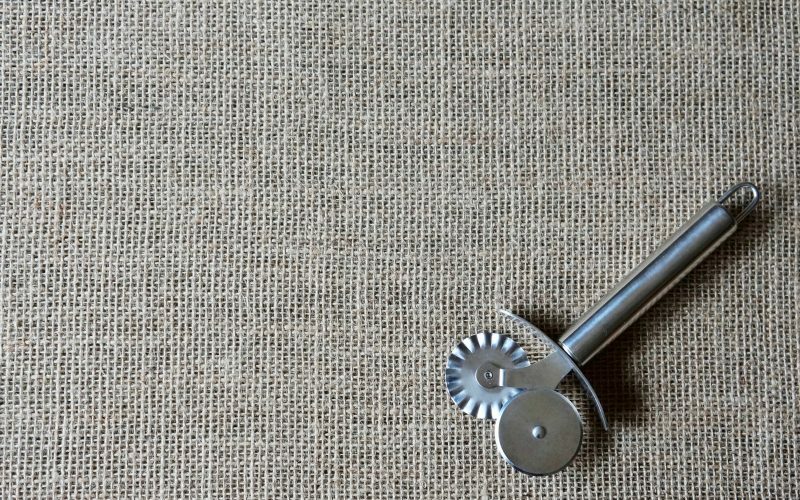 Whisk together the flour & the salt in the bowl of a heavy duty stand mixer. Make a well in the center & add 3 eggs & the oil. Blend on Low speed using the dough hook attachment until the ingredients combine into a mass, about 1 minute. 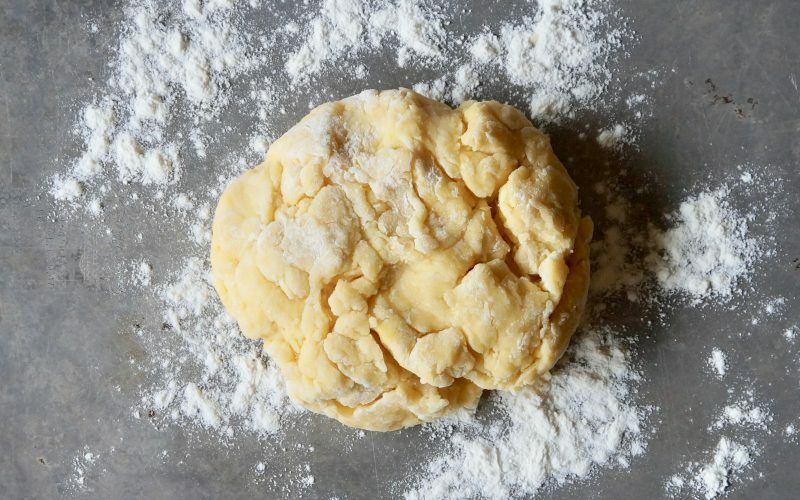 Stop the mixer & transfer the dough to a floured surface. Fold the edges to the center. Knead the dough 2 to 3 minutes or until smooth & elastic. 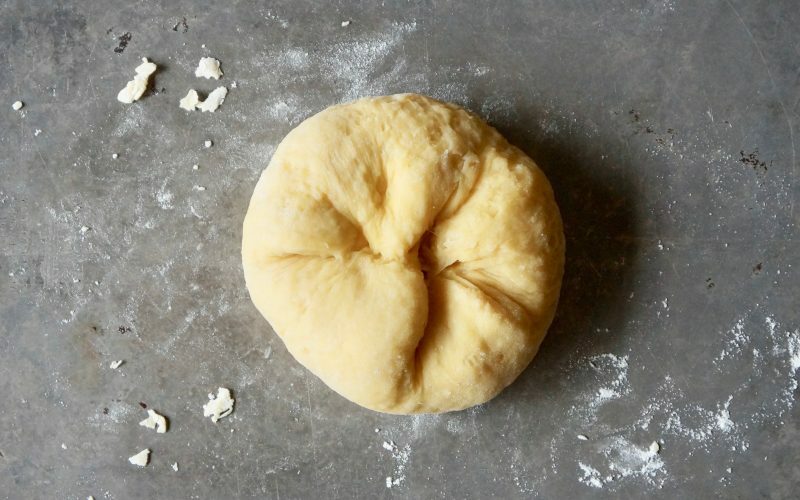 The dough should gradually spring back when pressed in the center. Roll the dough into a flat disc & wrap in plastic. It will feel heavy in your hand but when pressed around the edges, springy & light. Let stand at room temperature 30 minutes. Use as directed in specific recipe applications. A few simple ingredients is all that is needed to prepare some of the most delicate noodles you’ve ever consumed. The key to success all boils down to technique. 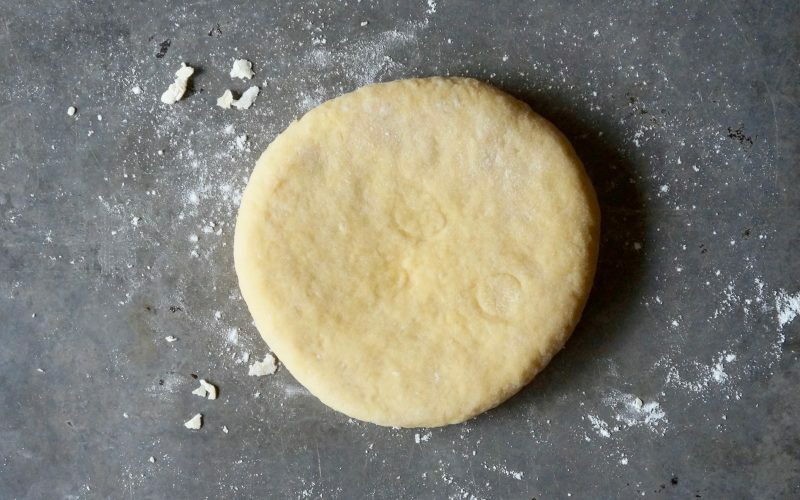 Do not overwork the dough for the best texture. A few pieces of equipment will be needed in order to complete the task. 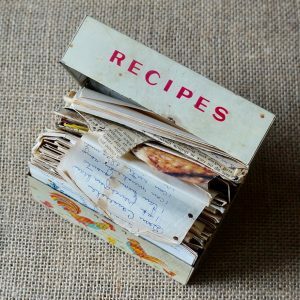 Read through the recipe before beginning. Here’s what you should know. Whisk together the flour & the salt in the bowl of a heavy duty stand mixer. Make a well in the center & add 3 eggs & the oil. Blend on Low speed using the dough hook attachment until the ingredients combine into a mass, about 1 minute. 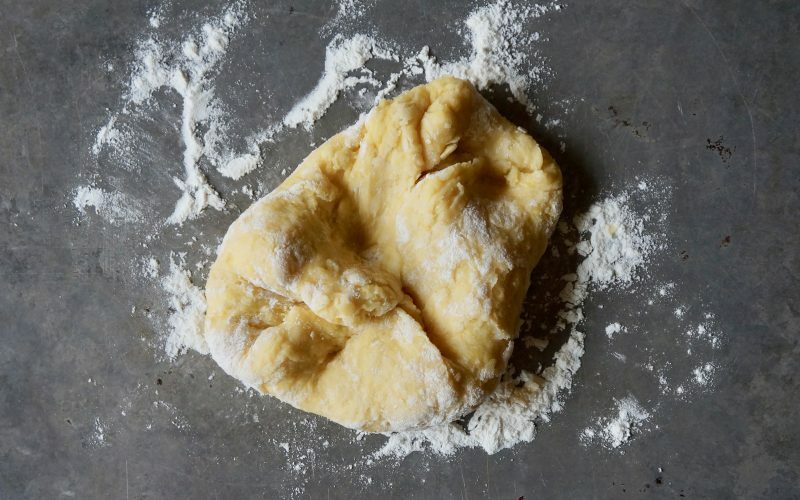 Stop the mixer & transfer the dough to a floured surface. Fold the edges to the center. Knead the dough 2 to 3 minutes or until smooth & elastic. Flip the dough over once it has been properly shaped for resting. 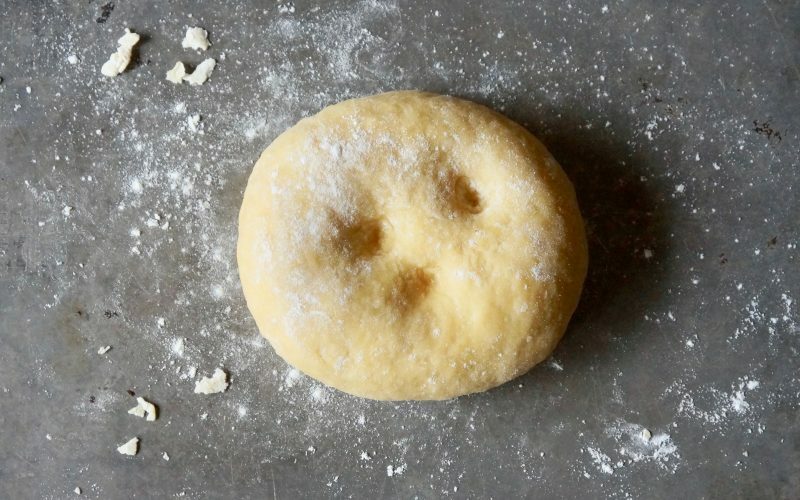 The dough should gradually spring back when pressed in the center. Roll the dough into a flat disc & wrap in plastic. It will feel heavy in your hand but when pressed around the edges, springy & light. Let stand at room temperature 30 minutes. Use as directed in specific recipe applications.